You’re busy with your business, and don’t have the time to worry about dealing with the technical details. Our managed website hosting means we take care of the technical stuff, while you focus on your business. With high expectations for site performance and ease of use, falling short could see your potential customer abandon your site. Not only is selecting the right web hosting service essential in ensuring fast loading and minimising downtime, it’s also a huge factor in protecting your site from the risk of being hacked. Don’t choose between a Greyhound and a guard dog. Get the best of both breeds when you work with us. 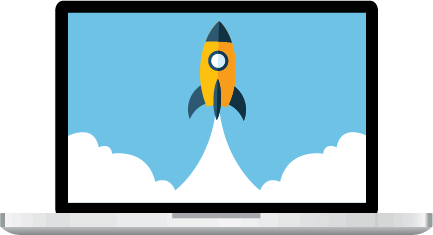 We’ll load your website onto our servers, make sure it’s running smoothly and take care of all the technical stuff including setting up your DNS records, parked domains, and any other server side technical related tasks. With servers right here in Australia, selecting a Sydney-based web hosting company will ensure you get faster load times than what’s available from many companies offering hosting via servers located overseas. Your website. Your business. Your life. Many other hosts expect you to backup your own website, leaving you stranded if you get hacked. 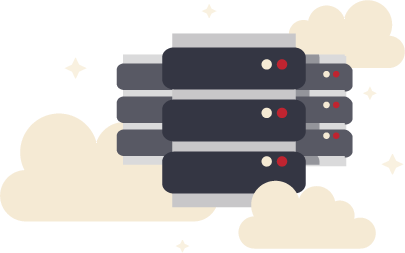 We understand how important this business tool is to each and every one of our customers, which is why our web hosting is protected by backup strategies that let you sleep easy. Conducting business online should be safe and secure to protect your customers as well as your reputation. Our lapdogs turn into wolves when it comes to defending our customers’ online assets from risk. Never miss out on business thanks to reliable uptime and quick responses from our tech team in the rare case that any downtime is experienced. It’s more than just convenience, it shows your customers that your site is safe and trustworthy. Every time your site runs slow or goes down, you lose customers. Every time your site is compromised, your reputation is hurt. Web hosting is the heart of your website, without which the brain and the muscle simply won’t matter. Contact us today to learn more about the details of our web hosting services and what we can do for your company.